There’s something about a cowboy that steals my heart clean away. If he happens to be holding a baby—well, he gets double points for that. Daddy material? Yep. That’s when you see a boy mature into a man. Having just been offered (from Harlequin Love Inspired) six more books in my Cowboy Country series, I’ve been working hard on developing heroes and heroines that readers will fall in love with and pairing them with exciting plot elements to keep the story twisting and turning. Like the previous ten books (three in the Cowboy Country series), this continuation of Cowboy Country will take place in the small-town setting of (fictional) Serendipity, Texas. Clearly the cowboy/baby thing is working for me. I love it. Readers love it. Which leads me to wonder—why is that? In the interest of full disclosure, I’m dipping into the shallow end for a moment. 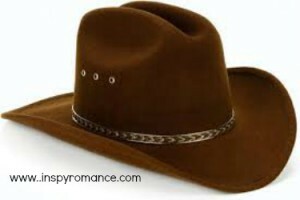 Strong features, scruffy cheeks, broad shoulders, a Stetson and cowboy boots. Yes, please. I can’t share yet (stay tuned!) but I just got my first peek at The Cowboy’s Surprise Baby (book three in the Cowboy Country series,) and all I can say is WOW. Gorgeous cowboy, adorable baby. Makes me smile just to look at it. Each cover in this series appears better than the last. You won’t see me complaining! Heaven only knows there are enough “man-candy” photographs floating around Facebook. Many secular novel covers now feature little more than a bare chest and rock-hard abs. And while I’m not opposed to a man with a six-pack, is that what fictional heroes are really about? Going back to my cowboys, The reason I love writing about them is much deeper than because of the hat and boots they wear. The perception I have of these men are that they genuinely love God and country. Not afraid to get dirty but clean up well. They are tough externally but they view the world, and women, with honor and respect. Now sometimes my heroes don’t particularly like the heroine at the beginning of the book (I’m looking at you, Slade McKenna: The Cowboy’s Forever Family) but deep down their hearts are made of gold, which we may only find out after they’ve been put into circumstances beyond their control—like having to care for a baby, for example. Nothing like having a kid to bring out the best in a man. They’ll do their best and give you their best. What do I personally want to see in a hero? A man who unashamedly loves the Lord tops the list. I want a man with a vibrant faith, or at least one who grows into it. A man with the ability to laugh at himself and the world. A man with honor and courage. It’s important for me to see the way he cherishes those he loves, even if he might not show it the same way another man would. I tease my hubby Joe that he was standing behind the door when God passed out the romantic bone. Flowers and chocolates are few and far between and we don’t make a big deal over dates on the calendar. But when he slings a dish towel over his shoulder or grabs a foam sword to “fight” with our grandson—those are the things that count in my world. That’s what makes my pulse race. So spill for me, readers. Think back to your favorite romances. What about those heroes made your heart swell? I’m interested in hearing about what you like in the way of physical appearances and careers as well as what goes on inside their heads and hearts. Is there anything you don’t like to see in a hero? I absolutely love the baby factor. When I first saw the cover of Yuletide Baby, my heart melt. I just HAD to get the book (which I did). 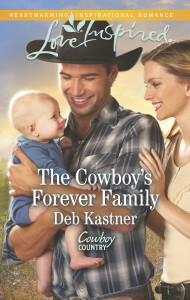 The babies on my Cowboy Country series are just killing me with their cuteness! The cowboys aren’t bad, either. ;) I agree that a strong faith is more important than strong muscles. Gotta love a man with a baby. They are tough, but yet gentle, too. (That picture of the cowboy holding up the mini cowboy on the post is adorable!). My husband isn’t big on gifts either (I think I can count on one hand the number of times he’s given me flowers in the almost 17 years we’ve been married!) I think a hero should be able to show his softer side and have faith in God. Once when my hubby brought home flowers for me, our tween/young teen kids worried we were putting the house on the market. Why else would we have flowers on display? These days, I buy MYSELF an occasional bouquet! Sometimes I have to remind myself to look for the softer side in hubby. Flowers aren’t everything. That said, I’m with you, Valerie. I buy my own! What a cute story about your teenagers! I love this line: “Not afraid to get dirty but clean up well.” I think that sums up what makes a good hero (cowboy or otherwise). A real man, in my world, does real work. As far as careers, I don’t really care as long as they have some kind of job! Hardworking men who provide for their families & help out financially where they can if a need arose for neighbors or friends. Some things that I don’t or wouldn’t like in a hero, being self centered, prideful, boastful, bragging or exaggerating about anything, liars, backbiting and the like. I think it’s the same thing that God doesn’t like to see in us either. 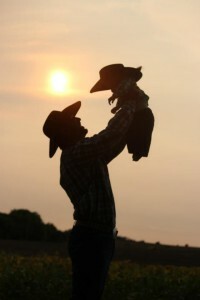 Thanks for sharing today Deb, & I agree a cowboy holding a baby…priceless! Congrats on 6 more books for the Love Inspired cowboy country series. Sounds like a fun adventure! Blessings on both your writing and your life & family! Thanks, Trixi! I’m excited to add to this series. And you’re right–what makes a good hero is what God expects from all of us. Hey Deb. I love cowboys too. There’s just something about them that tugs at the heartstrings. Your latest release looks so good. Congrats.